Our stable is proud to announce Rocking Force has won Geelong Race Horse of the year and was also awarded Most Popular Horse. 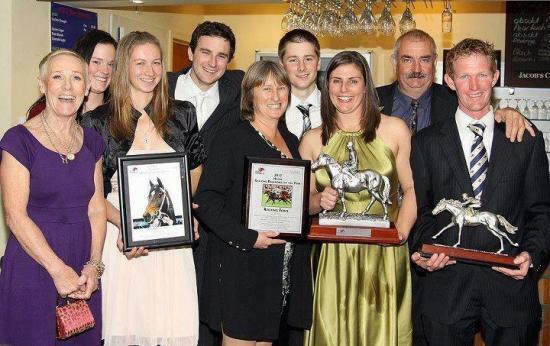 It is a privilege to train this much loved horse who is only the 3rd horse to receive both awards. This is a brilliant way to end a great season. Racey Louie ran a promising first race finishing 6th after bumping into 2 horses in the last 400m. Rogue Force has been close in all his starts this prep finishing 3rd twice in 4 starts. It is only a matter of time until he wins. Empress Zakynthos has had a short break and looks great. We have a new arrival Snitzels Choice who has returned to Vic after a smashing campaign in Darwin, winning 2 races including to Gunnies.